Although hot and windy, Friday wasn’t as bad as it could have been. However, the bush fire threat to Franklin and towns to the south is still very real with an uncontrolled fire burning due west and another to the southwest. This morning a westerly wind was bringing ash to Franklin. 1. Can we develop an itinerary that is reasonably safe? 2. Do we still have enough local people willing to leave their properties vulnerable to fire while they support the Raid (both Camp Support and Experienced Skippers)? A third consideration is whether we can, with good conscience, embark on the expedition while our community is still fighting to protect lives and property. At the moment we can’t confirm any of these - so if we were forced to make a decision now we would have to cancel the Raid. We have not made that decision yet and are still working with the expectation that it is going ahead in some form. 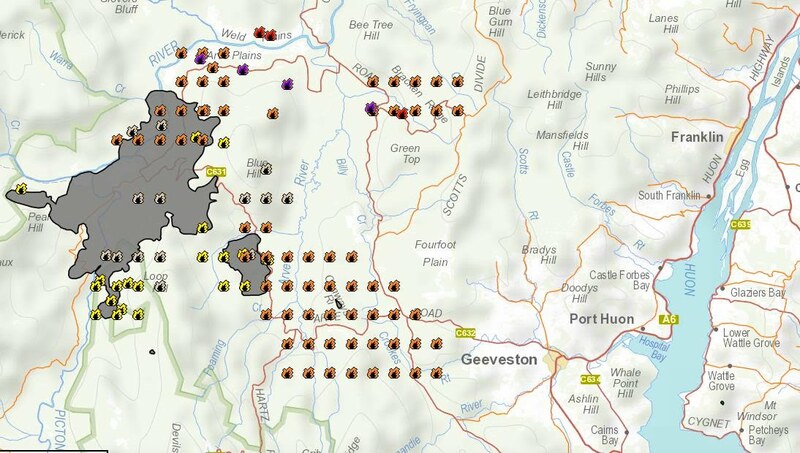 We are advised the fire threat will continue until there is significant rain and the forecast for Thursday is the first with any reasonable rain. Therefore, to reduce uncertainty for everyone and to allow you to plan to do other things in Tasmania, we have made the decision that the Raid will not start before Friday and then only if safe. If things are looking good before Friday we will organise a local shake-down sail/row based in Franklin on Thursday. Please do not go down to Recherche Bay or try to pre-position your boat there. There is only one road in there and it is surrounded by thick bush on either side. Current official advice is not to come south of Huonville unless you live here, so for now we have to cancel the Welcome Dinner in Franklin planned for Tuesday 29 Jan. If that advice changes we would be pleased to see you in Franklin and to offer you the hospitality for which Franklin has become known. In the meantime we are looking at alternative routes that don’t involve taking everyone into the far south. Stay tuned.